The joint on the side of your face in front of your ears is in agony every time you open your mouth. One of the most complicated joints in the human body, the temporomandibular (TMJ) joint allows you to open your mouth wide and also move your jaw from left to right. Sometimes the TMJ is aggravated and TMJ disorder (TMD) develops causing migraine headaches, jaw pain, neck pain, and discomfort chewing or just opening the mouth. Dr. Sykes at The Reno Dentist serving the Reno – Spanish Springs – Sparks NV metro area is professionally skilled and trained to help you with TMJ disorders and migraine treatment. We recognize what constant pain can do to you and those around you, and will begin your care the minute you walk through the door. Your eyes, pounding in pain from migraines that plague your life, will not be subjected to overhead, glaring lighting because we know how difficult it is to have ongoing discomfort due to TMD. We realize that every patient is different in how their TMJ treatment will proceed. You are unique and your TMD symptoms are distinctively yours. 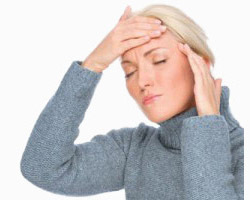 If you are seeking migraine treatment, what you may need is to treat the underlying TMD issues that are causing the migraines. Our office appreciates and considers everything that controls your jaw movement or dental occlusion. Our patient staff is dedicated to administering technologically advanced TMJ treatment that will alleviate muscle fatigue, painful spasms in your jaw and skull, and soon you will be free of soreness, migraines, and overt stress in your whole body. As always, our office takes a conservative, patient-centered approach and will give you manageable steps to ease muscle and joint pain in your jaw as a result of TMJ discomfort. Perhaps altering your diet, avoiding rash movements such as wide yawning will contribute to your immediate well-being, while our staff here at The Reno Dentist extensively probes the reasons why you need ongoing TMJ treatment and support. Because the way we treat TMJ to give relief to migraine headaches is relatively new to and unique for Reno, we have developed a website specifically dedicated to this treatment. 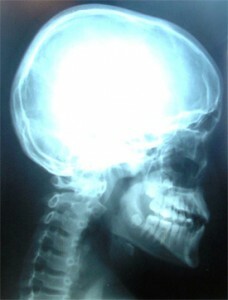 Visit LastHeadache.com to learn about how we can provide headache relief. We are fortunate to have one of the best TMJ therapists right here at The Reno Dentist! You can also read testimonials from our patients that have received migraine relief through this treatment. We understand that you are tired of grinding down your teeth or have to leave work again as a result of more migraines and other TMD symptoms. Let us help you improve the quality of your life because you are ready today! Yes, you can feel like yourself again without delay! Schedule your visit today with the TMJ expert at The Reno Dentist for the Spanish Springs, Reno and Sparks NV area. Simply call us at the number above or send us a message using the form to the right.